Hiring might be considered a very simple, quick process…find, interview, hire, assign job, forget, and hope employee works out, but it is not. It takes work and a methodical approach before “the right” candidate can be hired…the consequences of getting the wrong are extreme. 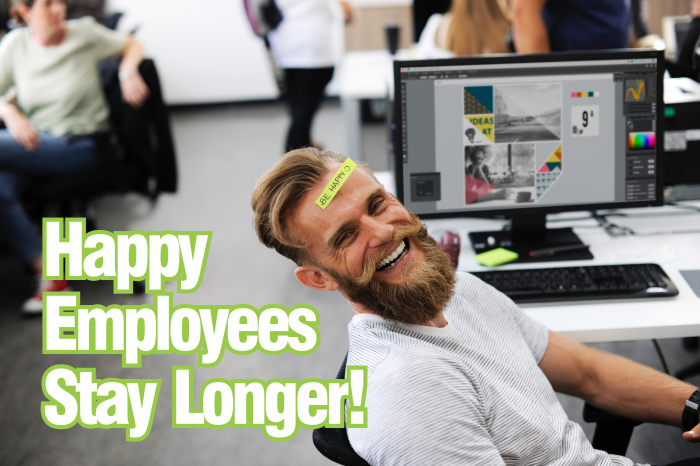 Employee retention is the second part of the equation and if the first part isn’t done well, you won’t have to worry about it, there is no retention – it’s an automatic loss. When you add up the numbers it can easily amount to tens of thousands of dollars in lost revenue and months or years of delayed progress in your business plan. Finding the right candidate is easier said than done. It is more than posting a position on a job site or getting a referral from a current employee. The recruiting process and subsequent interviews are important factors leading to employee retention and should be taken with due diligence. The interview should be more than simply reviewing someone’s credentials and experience to learn if he or she has the requisite skills to adequately handle the assigned job responsibilities. The “right” candidate is the person who not only has the required skills but also is the “right fit.” Can the candidate quickly adapt to the company culture? Will the candidate’s personality gel with current employees? Are the candidate’s moral values the same as others in the company? Multiple interviewers should talk with the candidate, ask probing questions, speak with references, and compare notes after the process is completed and before the candidate is hired. When the right candidate is found, it can be a home run for the new employee and the company…but to retain the employee for the long-term, more must be done. The Departing Employee – Why? Every new hire is thought to be a “home run,” but anyone who has ever had the task of hiring someone knows that is not always be the case. Although everything possible might have been done correctly during an employee’s tenure, there will be multiple reasons why someone resigns. This is an opportune time to learn for the next employee coming onboard. Exit interviews can be as important as initial interviews. Why is the employee leaving, and what could have been done to retain the employee? Was the employee a good fit from the start? Were mistakes made in the hiring process? Important information can be obtained during the exit interview but is only valuable when shared with other hiring managers. The reason behind every employee leaving should be thoroughly discussed to determine what might be changed in the future to hire the right employee and retain that employee for the long-term. While employee turnover is costly, the reverse is true for employee tenure. It not only reduces costs but also increases company efficiency. These two factors can add significantly to a company’s bottom line profit. Rather than hiring and firing or hiring and quitting, a business objective should be hiring and retaining. Source article comes from the Association of Accredited Small Business Consultants with contribution from John Hackley of Oculus Business Coaching consulting and coaching. Lighting a Pathway to Success!